Washi Tape has taken the crafting world by storm! It offers a quick, easy way to add a fresh, colorful look to any project. The new "What to Washi" online class from Stampin' Up! 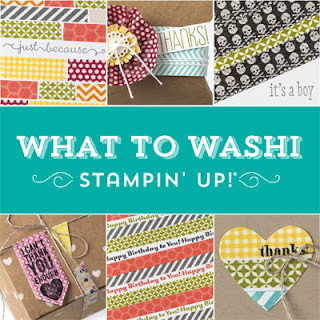 explores a myriad of Washi options and provides much more than the basics for you to begin your own Washi adventures. 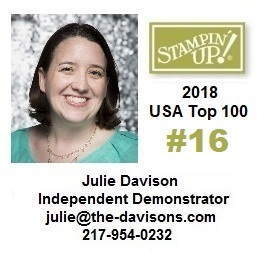 Divided into seven PDF documents, this class includes written instructions, step-out photos, instructional videos, and supply lists for more than 30 projects. Each Washi Tape package contains three coordinating rolls of Stampin' Up! 's exclusive Washi Tape for a total of 12 rolls.